The make-up PFT has been rescheduled to June 11th because of a scheduling conflict with the Washington County Sheriff's facility and an event for the Triple Deuce on the 4th. PLEASE BE ADVISED the make-up PFT is now June 11 at 8:00 a.m. Location is 620 So. 5300 West in Hurricane - just up the street from the DMV office. As most of you know, there is a requirement that each candidate earn $100 towards his/her camp experience which we provided with two car washes and yard signs to sell. Some of you have already filled those requirements with car wash ticket sales and some are working on selling the patriotic yard signs to help reach your $100 goal. 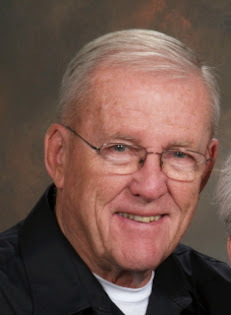 Unfortunately, many of the car wash ticket sales envelopes turned in to Col. Toole at Saturday's car wash had no name or amount on the envelope as we had asked, which was our way of charting your contributions toward your $100. I would appreciate it if each of you who turned in cash e-mail us with the amount that you have already submitted towards your $100. Otherwise, that amount will simply be lumped into "car wash sales" and not credited to you. 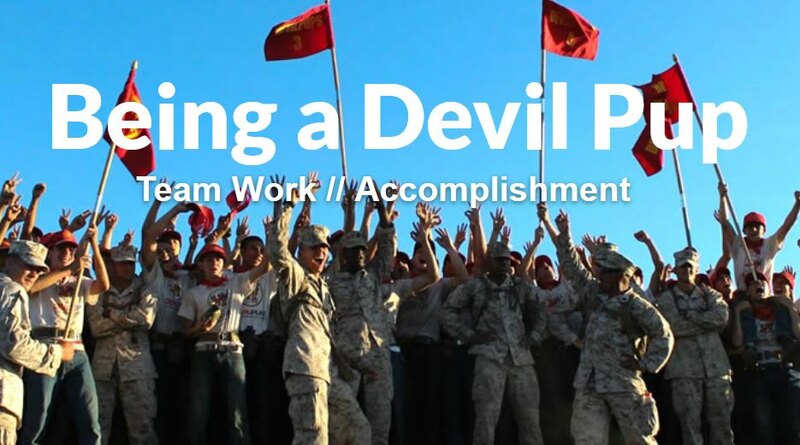 If you still have a ways to go to reach your $100, we have the names of retired Marines in the Marine Corps League detachment who are very supportive of the Devil Pup program who would like to be "mentors" to help you with this requirement. 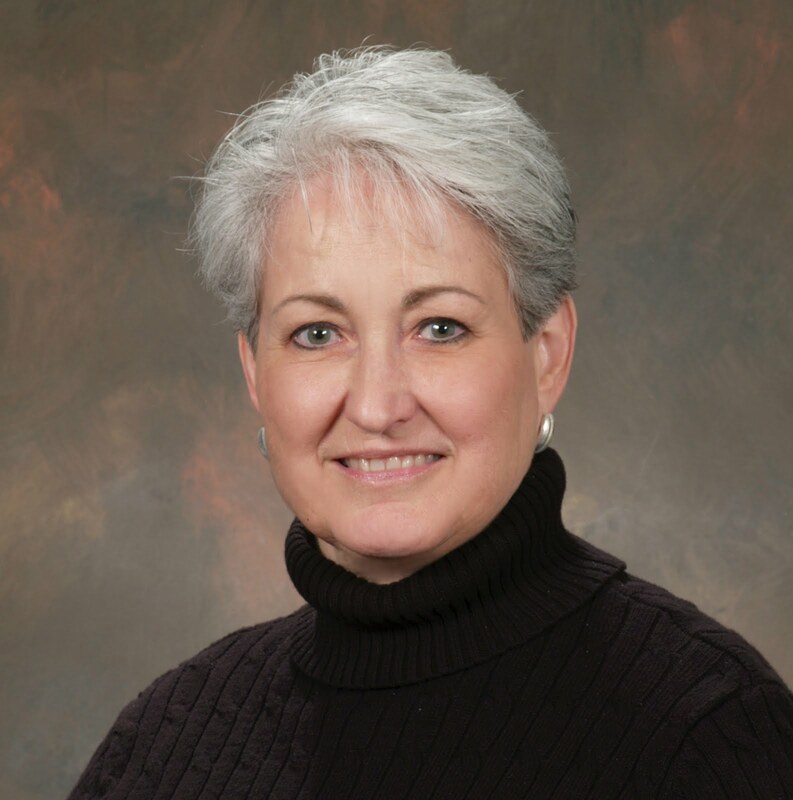 They may have odd jobs or other types of assistance to help you meet your goal. This opportunity will kick into high gear after June 18. The number of candidates this year is higher than the quota we have, so those with lower PFT scores need to really concentrate now on increasing PFT results. 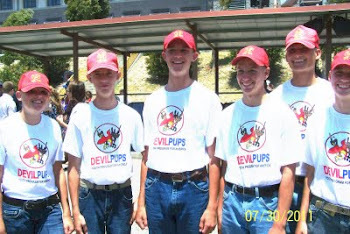 Three factors are taken into consideration for Devil Pup selection: (1) PFT scores, (2) age, and (3) points from fund raising projects. 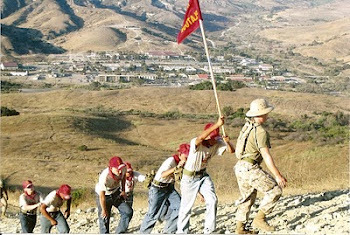 The PFT scores are given the most importance because of the rigorous schedule at Camp Pendleton. If pups are not "in shape" before going to Camp Pendleton, they will be playing catch-up for 10 days, not a good experience. This camp is the hardest camp in the nation, and we want you to have a good experience. If your scores are not high at the first PFT, you have the time and opportunity to work hard on those skills prior to the second PFT. 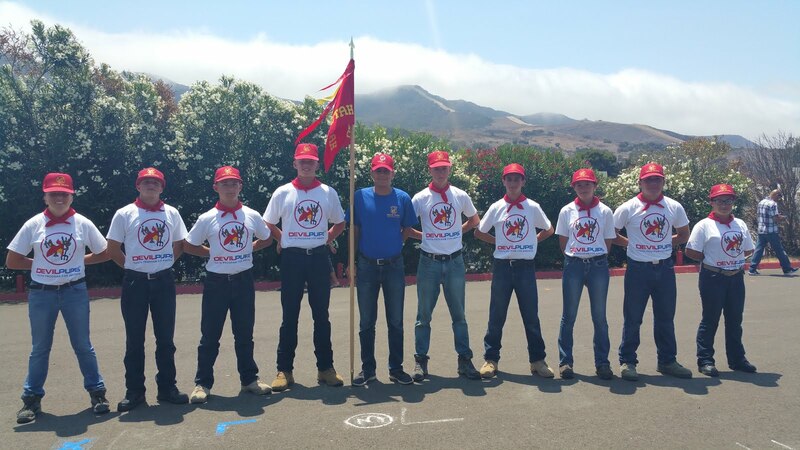 If the scores do not come up this year, you still have the opportunity to work during the year on those PFT tests for a chance at next year's Devil Pup camp if still within the 14-17 age group. Age is important, also, because those who are older will not have another chance to go in the future. If their scores are similar or tied with another younger pup, they may be given a better look. Points from fund raising projects factor in last. We need to know how dedicated the candidate is, observe his attitude at work projects, see if he follows instructions, and find out if he can carry through with a commitment. Consideration is given to those who show a good work ethic, are responsive to instructions and follow through with details. 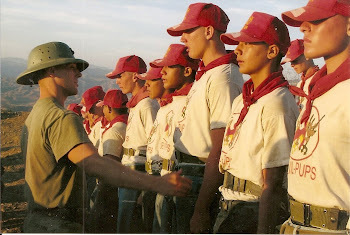 It does not trump the PFT scores, but together with the PFT tells us a lot about a candidate's chance for a good experience at camp. Please watch this blog for further changes to the make up PFT test. Due to scheduling conflicts for the Washington County Sheriff's Office on June 4th involving the Triple Deuce, our PFT date has been changed to June 11. An e-mail will be sent asap with the exact time on the 11th. Cross June 4th off your calendar and pencil in June 11. For those of you who have the patriotic yard signs to sell, please keep the money from the sale in an envelope with your name and the amount on the outside of the envelope. We will arrange to pick up the money when you let us know you have sold the yard signs - or we will collect the envelopes at the final PFT on June 18th. Next event is the make-up PFT on June 4. If you still wish to be a candidate for 2011 Devil Pup camp, this is a MUST for those who did not attend the first PFT last Saturday. It will be held at the Washington County Sheriff’s facility, 620 So. 5300 West in Hurricane - just up the street from the DMV office. If you were at the PFT last Saturday, you do not need to attend the June 4 PFT. We will let you know in the next few days what time the June 4 PFT will be held. 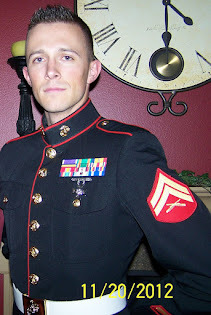 EVERYONE MUST ATTEND THE PFT ON JUNE 18 to be considered for a slot on our 2011 Devil Pup roster. 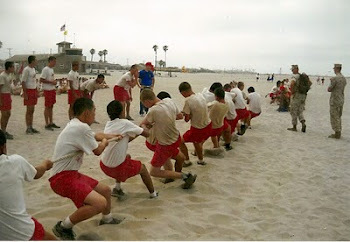 To clarify, you must have TWO PFT tests to remain a candidate for Devil Pups camp this summer. Our car wash on Saturday was another success. Thank you for your ticket sales. Advance sales have made this portion of our fund raising a success. Special thanks to Oscar Garcia for his vision for this fund raising portion of our program as well as his time and effort at the PFTs and car washes. Each of your accounts will be checked to see if you have earned the $100 that each was to contribute toward his/her camp experience, so if you still have some dollars to earn, it’s time to catch up. After the June 18 PFT results are in, the 2011 final selections will be made. 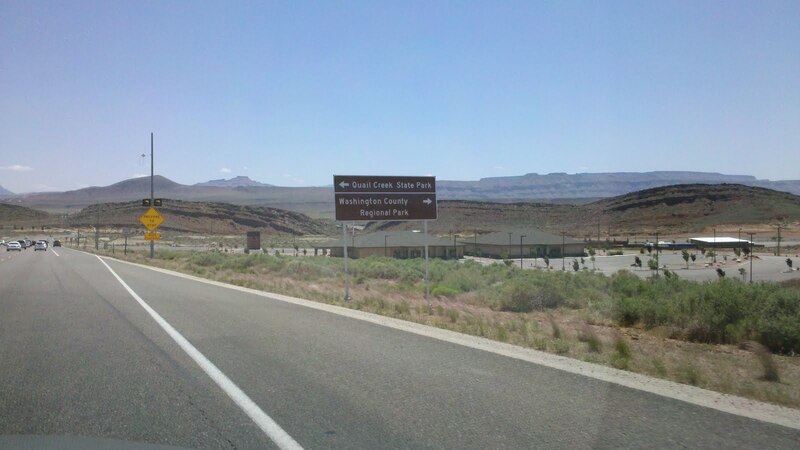 SoUtah’s quota this year is for 9 males and 2 females. There are still 12 to 13 males competing for those 9 slots, so work on your PFT scores prior to June 18 so as not to be eliminated. As for last Saturday’s PFT results, WATCH YOUR E-MAIL for your score. It will tell you where you are currently placed in the list of Devil Pup candidates who have tested so far. Those e-mails should go out to you within the next 24 hours. REMINDER: This coming Saturday, May 21st, is the car wash at 9:00. Hill Top Car Wash next to Denny's, 160 No. 900 East, St. George. PRIOR to the car wash, at 7:30 a.m., we are having the initial PFT at the Washington County Sheriff's office in Hurricane. A make-up PFT for those who have firm commitments in other places on the 21st will be held on June 4, same place - time to be announced. 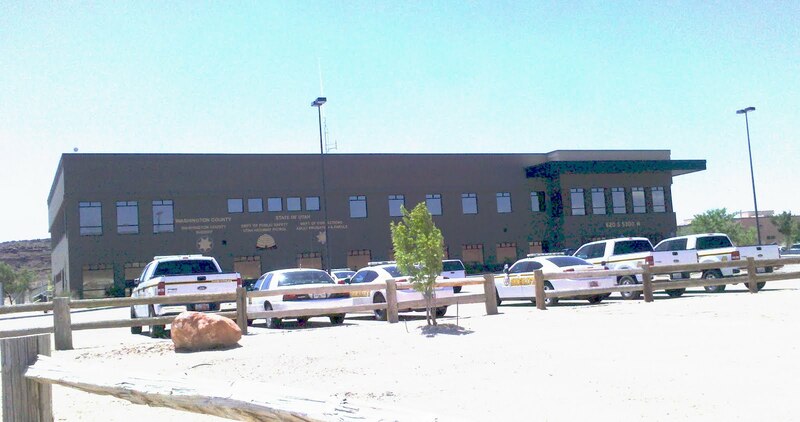 The second (and final) PFT for ALL HANDS will be scheduled at the Sheriff's facility at 0730 on Saturday, June 18. The 0730 time is to avoid the heat and to accommodate other activities of the Washington County Sheriff's facility following our PFT. After the June 18 PFT, selections will be made in accordance with test results and car wash points earned by candidates. Work hard and Good Luck! Devil Pup Candidates: DEVIL PUP CANDIDATES, LISTEN UP!!!! Our SECOND car wash is scheduled for Saturday, May 21st, from 0900 to 1200. That is this coming Saturday. The location is the same – Hill Top Car Wash next to Denny’s above St. George Boulevard. You have had your tickets to sell. Bring the money from those tickets with you to the car wash. Use the envelope to hold the cash. Write your name and the amount of money on your envelope and seal it. I will collect the envelopes at the car wash.
A make-up PFT will be held June 4 for those with other commitments on May 21st. 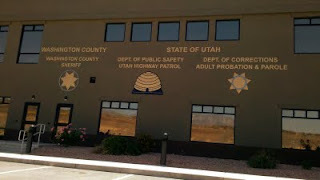 Same time, same place - Washington County Sheriff's office facility. The SECOND (and final) PFT will be scheduled on Saturday, June 18, at 7:30 a.m. at the same place, Washington County Sheriff's Office. The final selection of candidates will be made after the results of the second PFT are tallied. 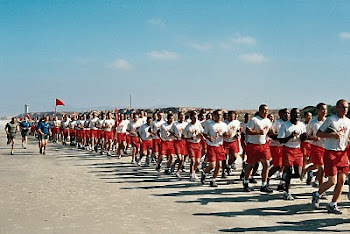 This schedule gives the successful candidates an additional four weeks to work on their fitness before departing for Camp Pendleton. Questions? Home phone: (435) 652-3998. Cell (925) 216-8964. Take State Route 9 toward Hurricane. 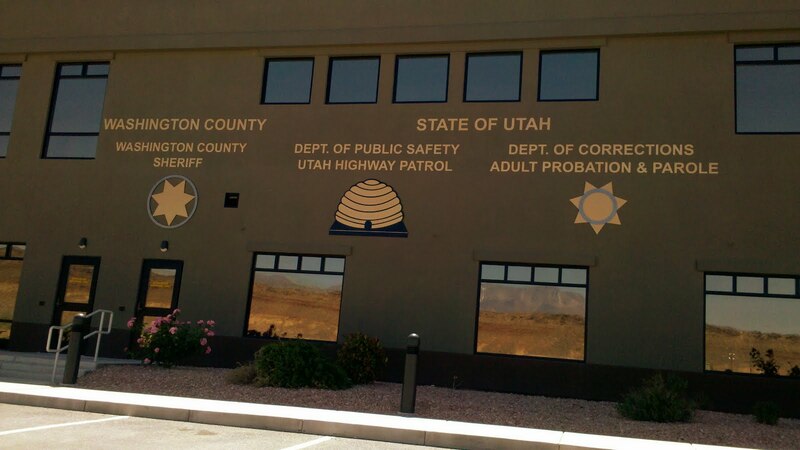 Continue on 5300 past Purgatory Correctional Facility. 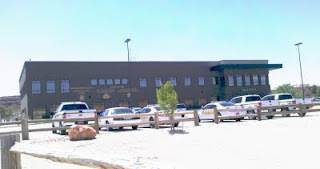 We will be waiting in the parking lot outside that building (Photo 3). Tuesday, May 17, Applebee's in St. George from 4:00 to 9:00 p.m. Please join us for a "Dine to Donate" night at Applebee's Restaurant, 156 So. River Road in St. George. Applebee's is excited to donate 10% of the proceeds of the meals of those of us who come in with a certificate indicating we are participating in the Devil Pup fund raising project. Get your certificate from your e-mail or contact Bill Toole at 652-3998. Hand the certificate to your server and Applebee's will clip it to your bill and tally up the slips at the end of the evening, donating 10% to the Detachment for our Devil Pup project. This is not a 10% discount for your dinner; you will pay the regular price and Applebee's will donate 10% of your check to the Devil Pup project. It should be a fun night - how could it be better? No work, just food and fun. See you at Applebee's Tuesday, May 17, from 4:00 to 9:00 p.m.
For those of you who LOVE to party, stay after 9:00 p.m. for Applebee's karaoke fun. Just a reminder that all application forms need to be sent in ASAP - if you have not already done so. There are three pages in all. One form is titled Devil Pup Liaison Representative Selection Questionnaire on which you fill in essay questions. 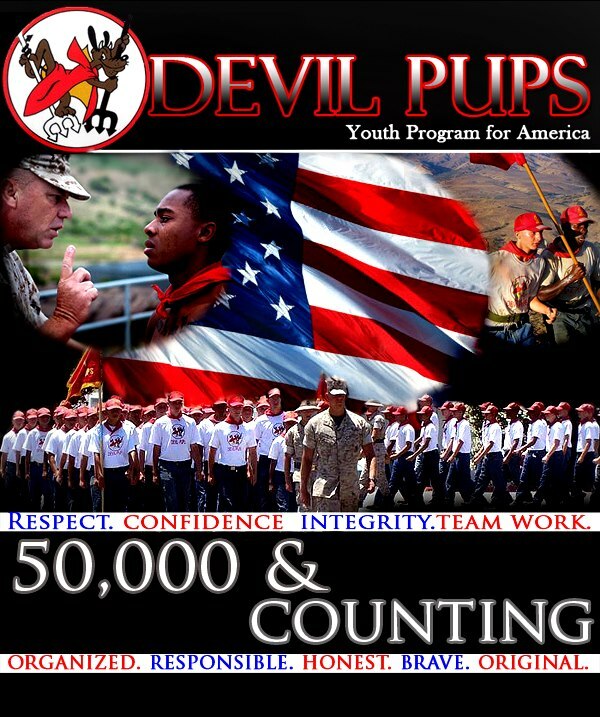 The other is titled DEVIL PUPS Youth Program for America. The Youth Program for America form has a section for medical information. You can leave the blood type off at this point if you don't yet know what it is. 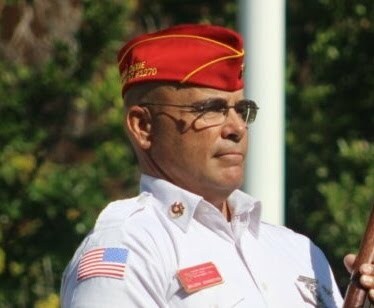 You do not have to schedule a physical until you have finished the first PFT. That will tell us whether you have a chance at one of the quotas for this summer's camp, so you can wait for those results and we will let you know it's time to get a physical. But make sure we have all the forms now. If you have not yet received the 10 tickets for the car wash on May 21st, please let us know by phone or e-mail. Remember, you need to sell all of them - bring the envelope full of money from the sale of the tickets to the car wash or give them to Donavan Millett at Dixie High School. SELL, SELL, SELL!!!! $5-$7 is a super deal for a car wash.